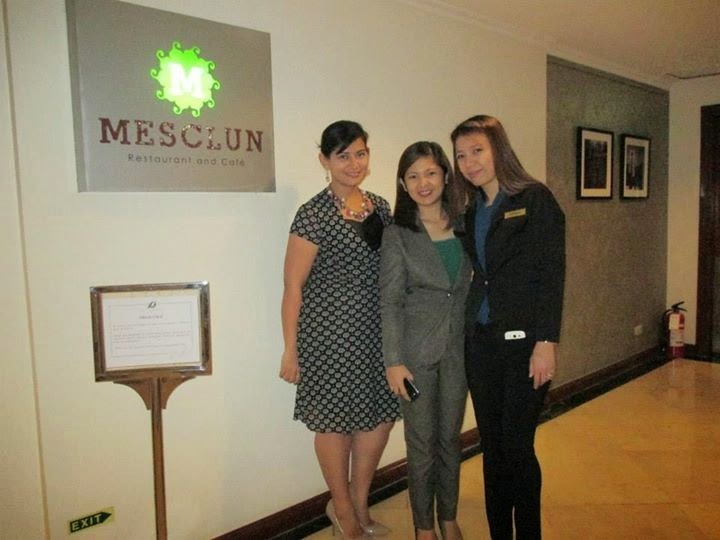 As part of my stay with The Linden Suites, Mesclun, their inhouse restaurant was gracious enough to host dinner for us. 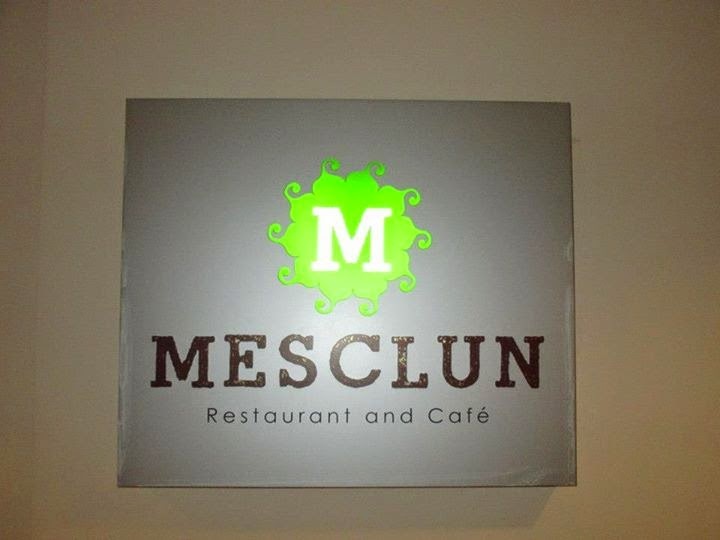 Now I have been hearing good things about Mesclun and so I was pretty excited to try what they had in store for us. 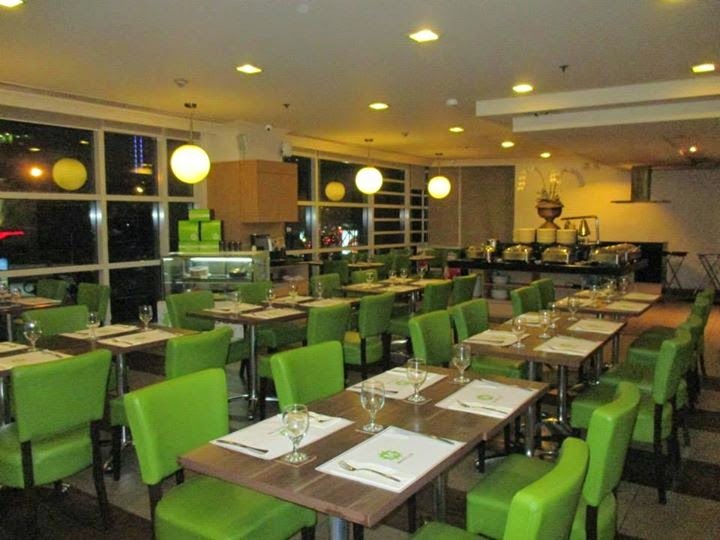 The place is quite big and can definitely sit more than 50 persons. I love the color they used because its cool and soothing to the eyes. As always, I opted for a couch seat because I find them more comfortable. First order of the night was red wine. This wasn't as bitter as the other red wine that I have tasted but I'd still have to say that I am not a convert still. It's not the wine, its just me. 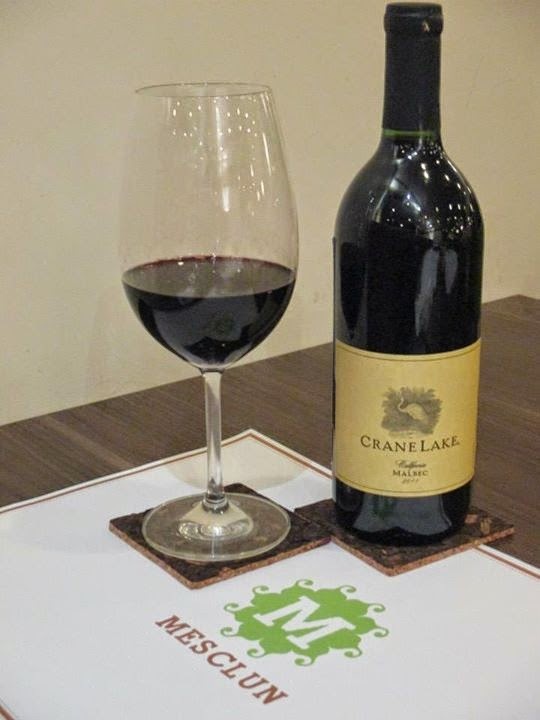 This one is called the Malbec California and a glass is only at Php325. This Andre's Poke (Php385) is made of tuna cerviche, soy sesame dressing, sriracha mayonnaise and crostinis. It was really good and very interesting. I don't think I have ever tasted this in my life and it was quite an experience. It seemed to have all the flavors on it and when you take a bite, its just a burst of different flavors all at once. 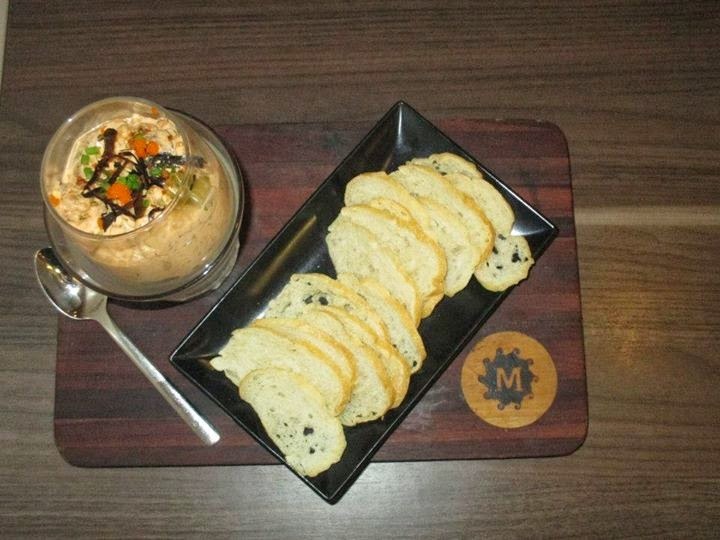 The Surf and Turf Tapas (Php585) was one of my favorite for the night. 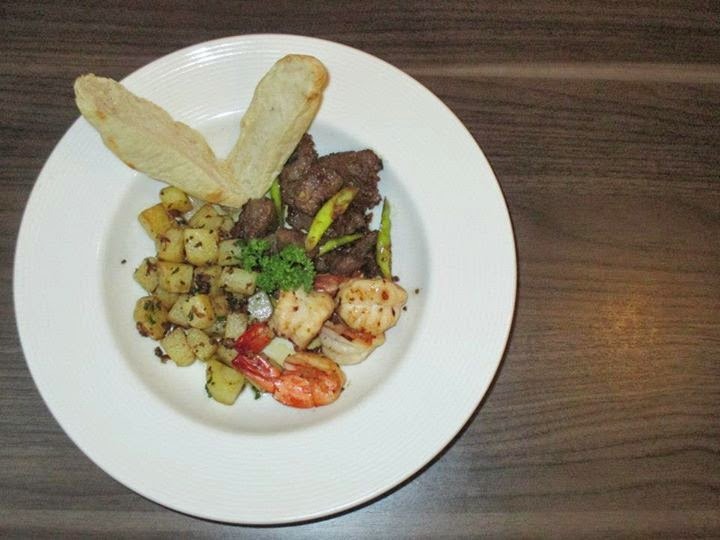 The tenderloin salpicao, gambas, and the herbed skillet potatoes were just perfect for each other and perfect for my tummy. If I had only this that night, I would have been perfectly fine. 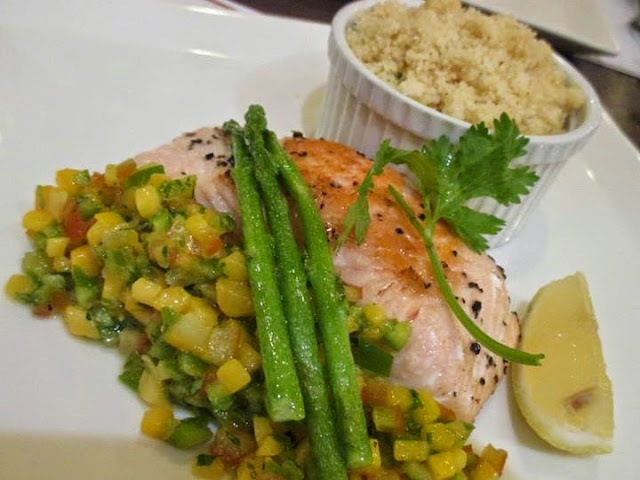 The Grilled Salmon Fillet (Php715) however was the hands down winner for the night. Paired with mango-tomato salsa and buttered asparagus, this shouldn't be a miss when you order at Mesclun. It was just really good that even though I was so full already, I forced myself to finish the entire thing. I know, gluttony at its finest. Sue me. The staff at Mesclun were all very sweet and thoughtful. They were there when I needed to request for something but they didn't hover nor intrude. They were very polite and professional. Of course dinner won't be done without desserts and they had us try this one out. Strawberry Shortcake, Creme Brulee, and Choco Caramel. I died! 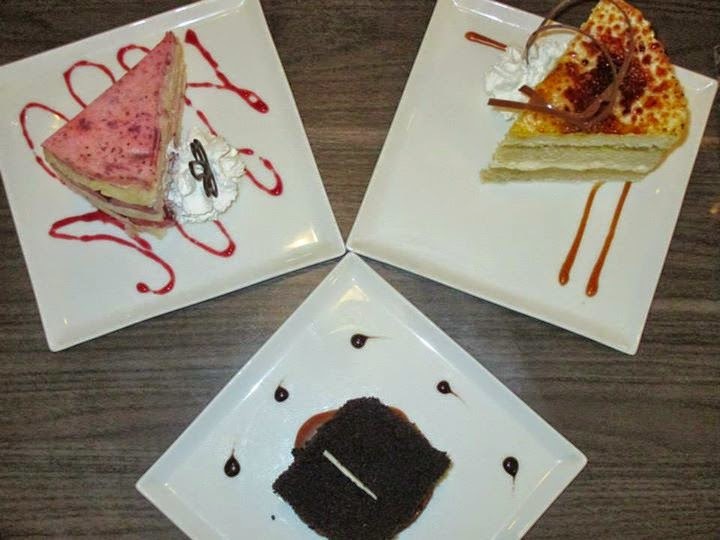 I loved the Creme Brulee the most since it was quite different but definitely, fans of strawberry and choco caramel won't be disappointed with these slices. 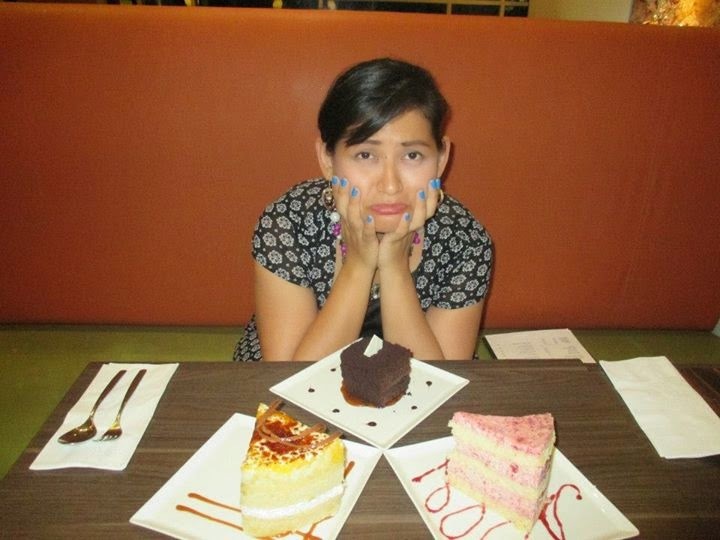 This is actually how I reacted to the cakes. I was sad because I couldn't eat them all anymore. Thank you so much Mesclun for having me around. I went back to my room burping all the way. Compliments to the chef!